On 26 August 2018, a group of 25 students, teachers and non-teaching staffs of the Centre cleaned 35 houses in Mattekkad colony, Kalamassery, Ernakulam district, where the river Periyar's fury caused havoc. When the Muslim Youth League Perinthalmanna Constituency Committee decided to travel to Ernakulam to help the flood-affected people of Kalamassery, it made a call through social media for volunteers. The response to the call was enormous and the teachers and students from Aligarh Muslim University (AMU) Malappuram centre were among them who came forward to render their service. 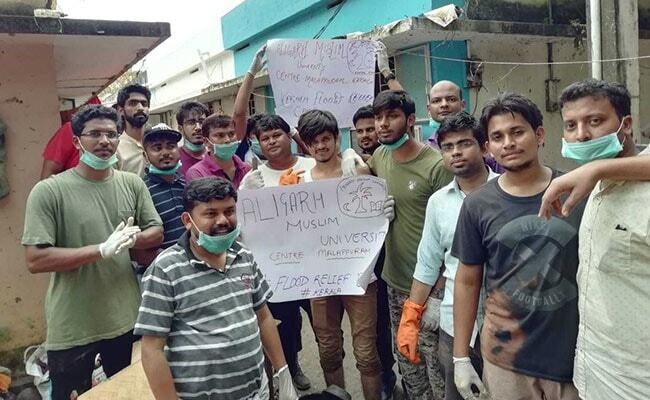 "The students of AMU Malappuram Centre has rendered their wholehearted service in the flood effected Ernakulam district of Kerala with Youth activists. They feel proud to be a part of the magnificent flood relief campaign undertaken by the public and government state," said Mohammed Abu Shahid, assistant professor at the Centre who accompanied the students in the rehabilitation work. "People of the flood affected area are in dilemma to revive back the rhythm of their life. Houses and fields are covered with mud and waste. Realizing the gravity of the situation, the students of the Malappuram Centre came forward to offer a helping hand to the victims in their own way," Prof Shahid added. The people of the colony and the office bearers of the Kalamassery municipality thanked the service of the team. "When we reached the area, what we saw there was heartbreaking as people were not having food to eat, clean water to drink and the life was miserable. The houses were buried under water," says Amir Suhail, a Law final year student at the centre. "Our team reached the spot in the morning and we did our cleaning programme till the evening. We cleaned around 35 houses as they were full of mud and dirty water. When we completed the cleaning, a large group of locals came to us and thanked us as with teary eyes they saw their houses neat and clean again," he added. 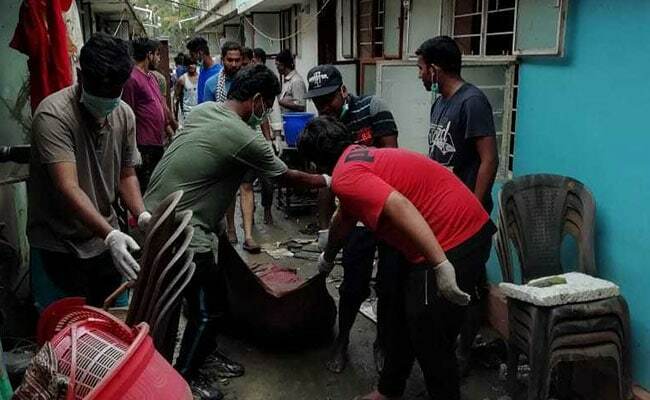 According to Nahas Parackal, President of Muslim Youth League Perinthalmanna area, more than 20 students and teachers came forward responding to the call made through Whatsapp and Facebook. "Most of the students who accompanied us to Ernakulam are from north India, including from states like Uttar Pradesh, Bihar and Delhi. 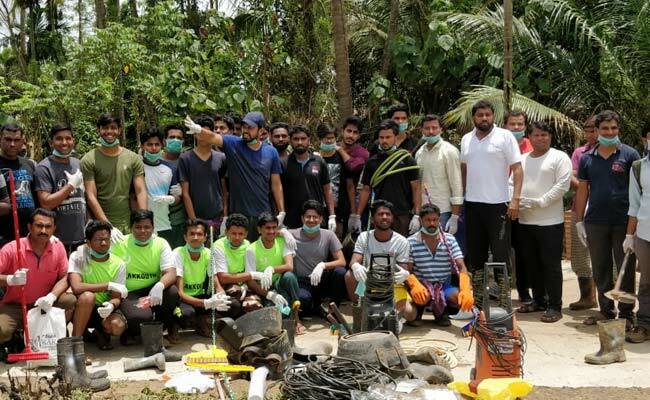 After our videos and images of us doing cleaning went viral, now, other students from the Centre are also contacting us for the volunteering work in the various parts of the state," said Mr Parackal. "We are planning to go again to the area. Once the cleaning was done in several households, we realized that most houses need proper whitewashing as the flood water has badly affected them. So, we will be taking these volunteers along with us for next stage of rehabilitation works in the area,"Mr Parackal added. The team was led by Mr Parakkal, and other office bearers of his party. Members of AMU staff included Mohd Abu Shahid, Dr Azmet Ali and Afsal K.T.